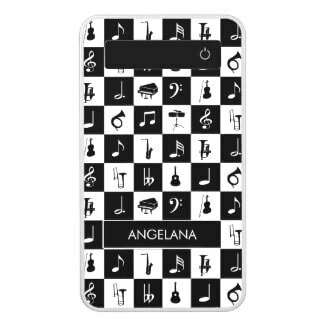 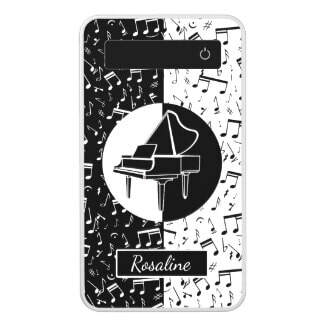 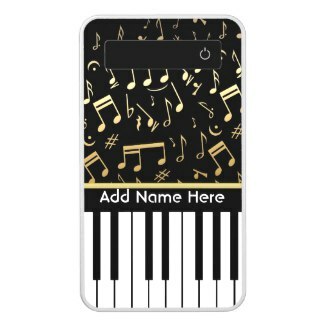 Elegant design for the pianist or keyboard player - featuring keyboard keys with golden colored musical notes on a black background.Customize the text on the black strip between the piano keys and the music notes. 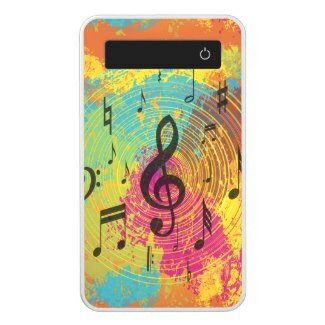 Unique and eye-catching, this cool and retro music design features musical notes in a circular pattern with a large treble clef in the center on a bright paint splat and psychedelic tunnel background. 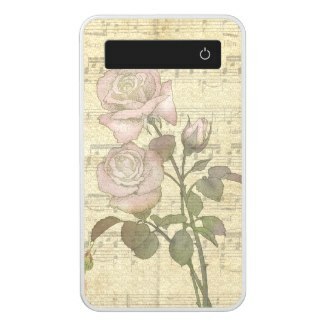 A beautiful and romantic vintage floral design featuring pink roses on an aged musical score background. 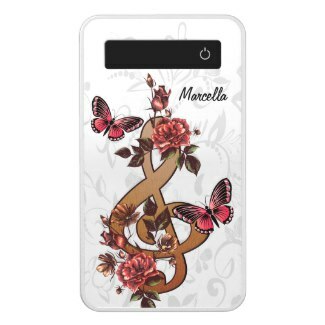 A great powerbank charger gift idea to show your friendship or love for someone special.